Drawing A Blank: The Art of Cody Schibi: DISTRACT ME! Yep, it's that time again... I've been locked up in my studio painting away for my upcoming art show, so I need some fun, MONSTROUS distractions this week.. 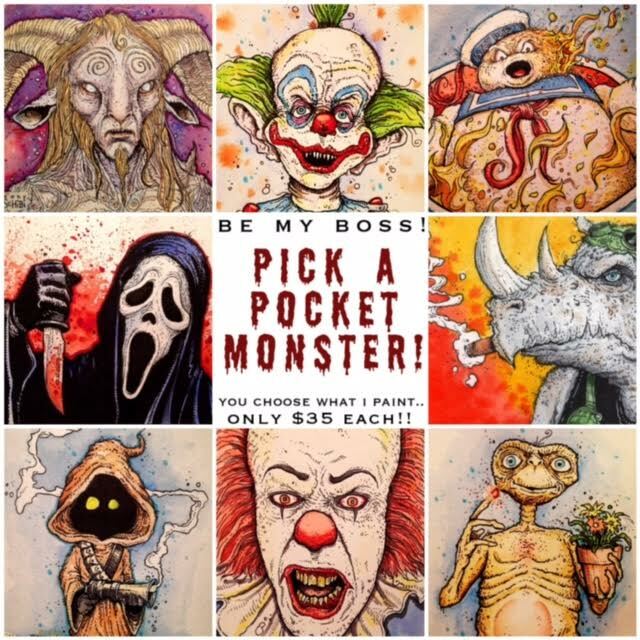 I'll be taking some "PICK A POCKET MONSTER" commissions & they'll be ONLY $35 (for a limited time)! I'll paint whatever "monster" you want & that monster will arrive at your front door shortly after to stay w/ you FOREVER!